You may know the car tuner Giacuzzo for its custom Renault, Dacia, Mitsubishi and Nissan builds – and perhaps an occasional Hyundai, too. However, its latest effort was concentrated on this Kia Stinger. Let us have a look at what’s new and exciting about the Korean fastback. The main improvement comes in the form of a performance upgrade. The stock 3.3-liter V6 engine of the car normally produces 370 hp (276 kW) along with 510 Nm (376 lbft) of torque. Once pushed to its limits, it starts churning out 439 hp (327 kW) and as much as 694 Nm (512 lbft) of torque. The modded car only takes 4.8 seconds to hit 100 km/h (62 mph), as opposed to the stock 5.5s. An active performance exhaust system makes sure the engine has no trouble coping with that kind of power while also providing an impressive soundtrack of its own. 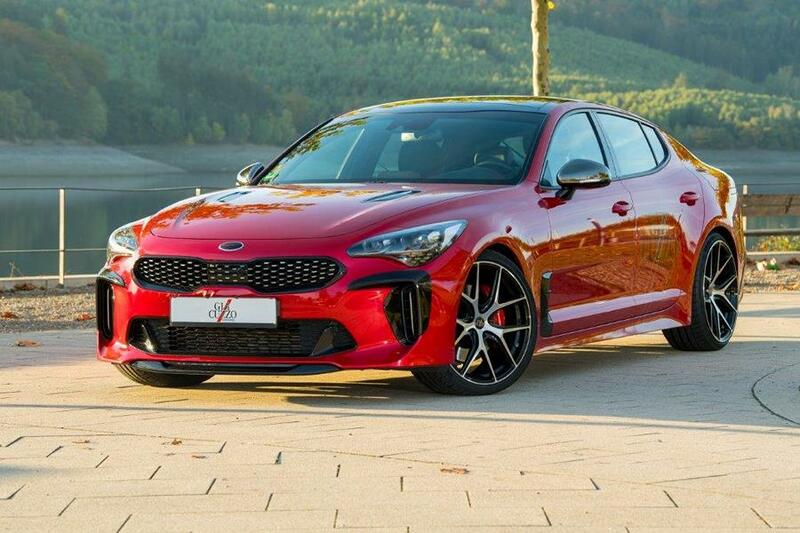 The Kia Stinger by Giacuzzo rides on a set of 20-inch wheels clad in sporty tires. It also rides lower than stock courtesy of KW Variant 3 suspension. On the outside, the Korean fastback sports a bespoke body kit including a black radiator grille, a sleek front spoiler, sculpted air intakes, a neat trunk spoiler, and a rear diffuser.